← How Can Sleep Improve Your Health? People will suffer from at least one wound in their lifetime. Such wounds can either be a one-time thing or even a chronic one. It is important to ensure proper wound care to avoid worsening your condition and stay healthy. Always keep your wounds clean. 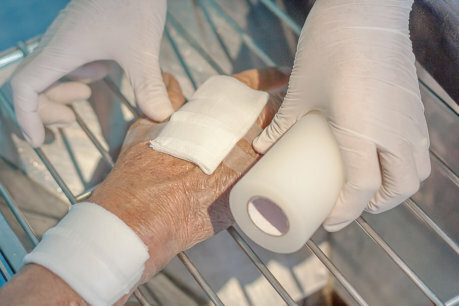 Keeping your wounds clean is one of the quintessential instructions Health Care Professionals in Texas gives to their patients. Doing so helps reduce the chances of getting an infection which can worsen the patients’ conditions. When cleaning your wounds, also heed the directions from your doctor. Generally, you can use clean water and mild soap for cleaning. Make sure to cover the wounds with bandage. Change the bandage regularly, too. Be mindful of the foods you eat. Your eating habits also play a significant role in wound care and healing. You have to watch what you eat. As much as possible, eat nutritious foods which can help promote faster healing. These include whole foods, vegetables, and fruits. Consume foods high in protein. Protein contains amino acids which are considered as the building blocks of the body. Additionally, consume foods that are rich in Vitamin A and C. Zinc can also help in the process. A provider of Home Health Care Services in Arlington, Texas can assist you in preparing your meals if necessary. To feel well, you also need to eat well. But, your stomach can only take so much food. Check with your doctor and local pharmacy about supplements you can take safely and considers your situation. Getting enough sleep is also important. When you sleep, the body starts its healing process. The amount of sleep you need to get every night depends on several factors including age, body composition and more. If you are an adult, you will need around 7 to 9 hours of sleep. To aid you in getting better sleep, make sure that your bedroom temperature is ideal for sleeping, not too cold nor too hot. Your bed and pillows also matter. All Care Professional Home Health, Inc. addresses the needs of our clients for Home Health Care in Fort Worth Texas. To know how our team can tend to your unique needs, give us a call today! This entry was posted in Wound Care and tagged eat nutritious foods, get enough sleep, keep wound clean, proper wound care. Bookmark the permalink.